← Lawson Goens/Goins/Goings, Where are you? I am your ggg-granddaughter and have several questions to ask you. I truly hope you are up to answering my questions because the doctor says I need to reduce the stress in my life and not being able to find you is kind of stressful. I would appreciate any information you can pass along to help me find more about our family roots. There are so many Goens/Goins families in Virginia and West Virginia and it is sad I am not able to connect to any of them. Are the Goens really from Virginia or where? I am finding Goens people everywhere and so many different spellings. Which one is the right one? So many researchers say we are Melungeon (http://bit.ly/duACp7) and could belong to the Saponi Indian tribe (http://www.accessgenealogy.com/native/tribes/saponihist.htm), do we? First, where were you actually born? Do you have any brothers and sisters, nieces or nephews? These are typically questions I have to ask when doing family tree research. We know you were born in the state of Virginia, a free man of color around 1807, because it was listed in a family bible we assumed was yours, but it does not list any city or county. I see in Jefferson County, Virginia (http://www.wvpubcast.org/newsarticle.aspx?id=12355) there is another couple of Goens families, are they related? When did you and ggg-grandma Sarah Hart get married; she also was born in Virginia in 1810, who were her parents? Jefferson County, West Virginia (http://jeffersoncountyclerkwv.com/) has records from 1801 forward, but nothing on you? We are assuming you got married around 1830, because we did find that your first born, Martha Elizabeth was born in 1831 and passed in 1834, but we can’t find any death record on her, where is she buried, is she in the Goens-Hart cemetery on Rt 9, next to St. Paul’s church in Kearneysville? Where are you buried? Did you die in Virginia, West Virginia or Maryland? We did locate you in the census records in Jefferson County, Virginia for the years of 1850 and 1860 with two different spellings; Goings and now Goins. Well, what happened to the years before 1850 and after 1870? You have disappeared. John Brown was in Jefferson County conducting a raid in 1859, what were you doing, were you involved? Is there anyone in our Goens line that was enslaved? We haven’t found any military records on you, is your first name really Lawson or is it something else, maybe William? You passed away according to your obit on the 12th of July 1874; I found that information reprinted in the Jefferson County, West Virginia newspaper called the Spirit of Jefferson. GGG-grandma Sarah moved in with your daughter Nancy Elizabeth Johnson and her kids after you passed. Her husband Emanuel Johnson passed as well before the 1880 census. Apparently you didn’t leave a will or owned any property; so far I have not been able to locate any public records. 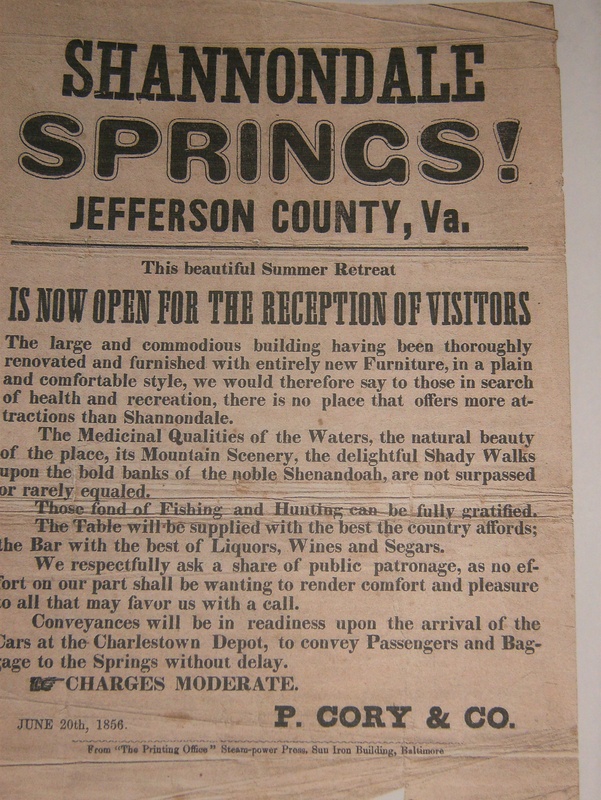 However, we did locate your arrest record dated for 19 November 1838, where you were found guilty of feloniously stealing $21 of divers bond notes from the Shannondale Springs Resort. (http://www.youtube.com/watch?v=6ODbtfp6Z34) What happened? This is the company you worked for 30 years as a boatman according to your obituary. The Oyer and Terminer record book #8, page 121, found in Richmond said you were sentenced to 5 yrs in jail and the penitentiary. What jail did you serve in? Was it the local jail in Charles Town or the penitentiary in the Richmond area? I wrote a letter to the circuit court and now waiting to find out if they locate any records regarding your arrest or jail time. Just so you know, I have completed several queries on several genealogy boards over the past couple of years to find out what prisons were open during the 1838 timeframe, hoping I will find more information.